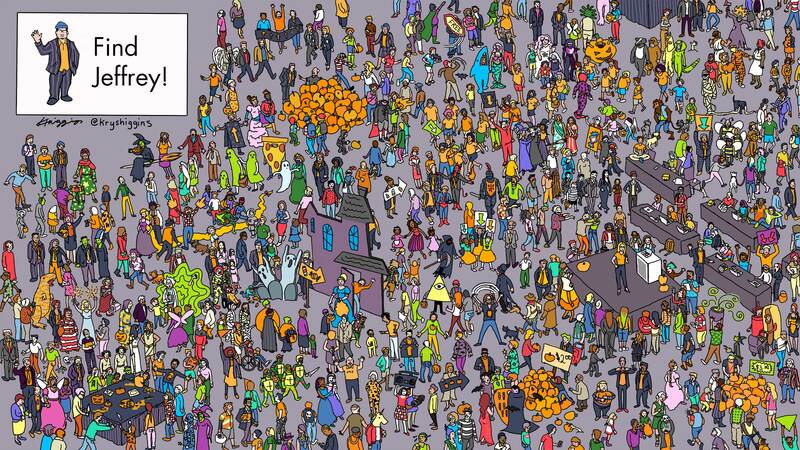 Have a blast trying to find An Event Apart organizer Jeffrey Zeldman in this Halloween-themed, homage-to-Where’s-Waldo illustration. You can also watch this video of my process. For those interested in the context behind this work: I illustrated it to accompany a presentation called “New Users Matter, Too,” my talk on new user onboarding. Searching for Jeffrey in this chaotic scene demonstrates to the audience that we have a tendency to inundate new users with too much information on day 1, which ultimately makes it difficult for them to find what they really need from our products.